Sometimes it seems as if there is a vast chasm separating LFR from the other tiers of raiding in World of Warcraft. Considerably easier than other tiers of raiding, with no real group cohesion required, LFR does little to build a bridge across the expanse. Making matters even worse, LFR and the players who take part it in are often regarded with a certain disdain by the rest of the community. Due to all these reasons and more, making the transition from LFR to higher difficulty raids can be a very scary thing. However, it doesn't have to be. Despite popular opinion and the fear surrounding the transition, almost anyone can do it. Back in the days before LFR was an option, players had to participate in one of the more standard raid functions. Wipes on bosses were plentiful and you could expect your guild to dedicate several days a week to raiding. While this worked for many it required a lot of time and commitment, something many players just couldn't offer. Thus LFR was born. In an attempt to open up the raiding scene to more players than ever before, Blizzard invented a raid difficulty that didn't require a guild, or strategy, or even much group cohesion at all. Able to breeze through bosses, sometimes 3 in less than a half an hour, it opened up the raiding scene to players that had never even imagined seeing end game raiding. Many players are, for various reasons, content to raid at this level and there is nothing wrong with that. 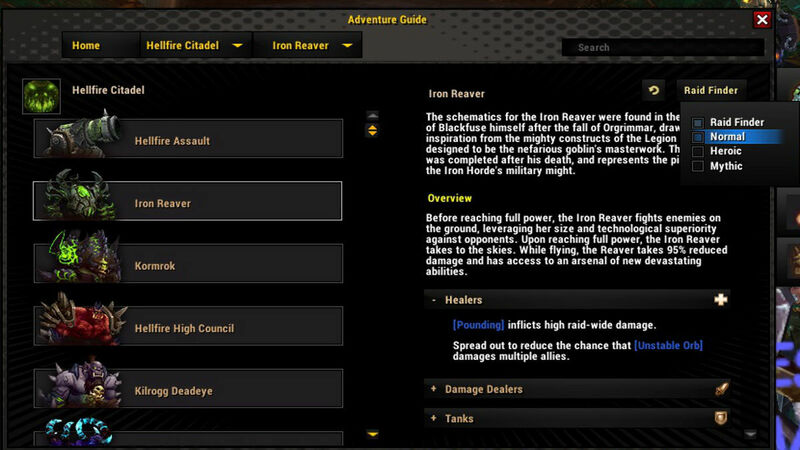 However, there are always a few who want to rise about and beyond Raid Finder. Perhaps LFR simply seemed like the place to start for these players, or their circumstances have changed allowing them to finally try out other difficulties. Whatever the reason, these players want to take the next step, yet often they find that they are ill prepared to do so. While the introduction of LFR certainly allowed more players to experience raiding, it does little to nothing to prepare players for higher difficulites. 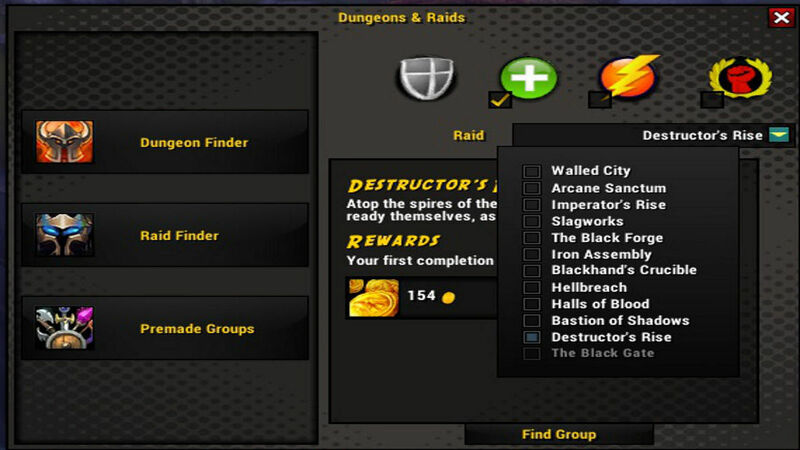 With its need for simplicity to cater to groups that are often a hodgepodge of different gear, skill, and play levels, Raid Finder is a terribly poor stepping stone for players to use to propel themselves beyond Raid Finder into more traditional raid settings. Add to this the very vocal cries of the majority that players participating in LFR are sub-par and you have created the perfect storm of self doubt. An innate fear of moving onto more difficult things and a mindset that they will be failures is born. This fear is sometimes crippling, leaving players sure of the fact that they aren't good enough to leave Raid Finder behind, nor will they ever be. Which is not surprising, since this is the general attitude most players express towards anyone taking part in LFR. Due to the nature of LFR, it won't be changing into the stepping stone it should be anytime soon. It just isn't possible. However, this should not stop players from trying to move into other difficulties. The fact of the matter is, LFR players CAN and SHOULD move into other difficulties if that is what they desire, they just need to work up the courage to take the plunge. With that being said, it won't always be an easy process. As mentioned above, LFR is a poor stepping stone to other raid difficulties. It does little to nothing to prepare players for a regular raid setting short of an understanding that if you kill a boss you get loot. If you are one of those players teetering on the brink of leaving LFR behind, I urge you to overcome your fears and just do it. You won't regret it and you may never look back. To help you on your way here are some helpful tips that will make the transition easier. Avoid PUGs if at all possible. Join a guild you love. Be prepared to take instruction and work as a team. Brush up on your class. Don't stand in the bad. Boss abilities in Normal raids and higher are to be taken seriously and often differ from those experienced in LFR. Have a basic understanding of your role in any fight. Sometimes bosses will take more than one attempt to kill, in fact, it may take several days to defeat a particularly difficult boss. Wiping is normal and adds a certain sweetness to the ultimate boss kill. Bosses can often be be defeated in a different order than that mandated in LFR. Normal raids take place in one giant instance, as opposed to several separately instanced “wings”. You will get angry, frustrated, and fed up.